The word of the week is CONTENT. Are you upset about your job situation? Are you unhappy about being single? Are you longing for a child? Are you disgusted about where you live? Do you desire better health? Do you wish you had more money? These are all circumstances in our lives that bring discontent. We want a change to happen, and we want it NOW. Is it okay to desire a change? YES! Is it okay to pray for a change? YES! But, the changes won't really help anything if we haven't already learned to be content. 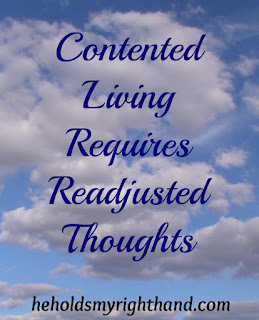 Have you considered that maybe God wants you to readjust your thinking and LEARN to be content before He can truly bless you with your desires? I can think of at least 2 circumstances in my life (I know there are more, but these two stand out the most), that God gave me what I originally desired AFTER I changed my way of thinking. The first was when I was in college. I was single and probably a little bit too eager about finding a husband. My desire was to become a supportive wife to a Christian man, someone with whom I could share my life and who would serve the Lord along with me. It was hard to be content to be single, even though I was only 20 years old at the time. It was during my last year at the college when I finally accepted I might never get married and told God I was okay with that and wanted to serve Him no matter what. Shortly after I readjusted my thinking, guess who I met? It was David. We quickly became special friends. The same thing sort of happened when David and I were trying to start a family. 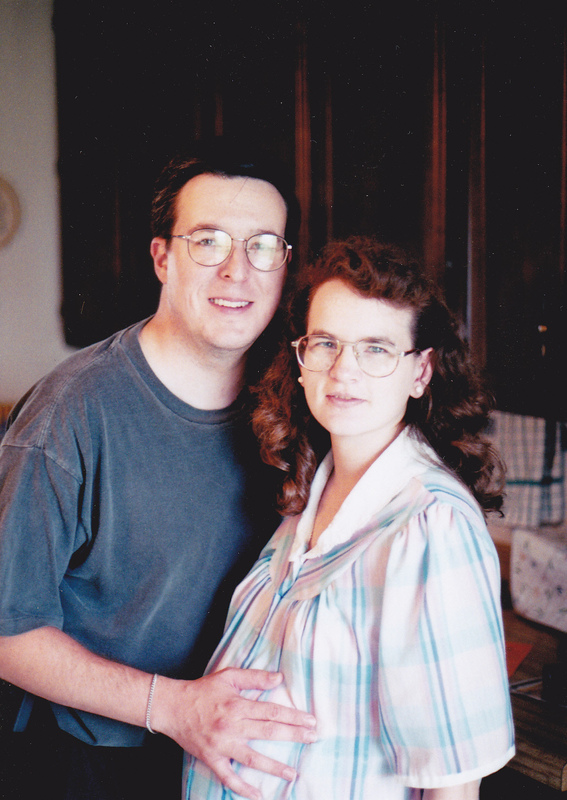 We struggled with infertility for 2 years, and I was upset about that for quite awhile. It was hard to watch other women around me getting pregnant and having babies and I wondered if it would ever happen to us. 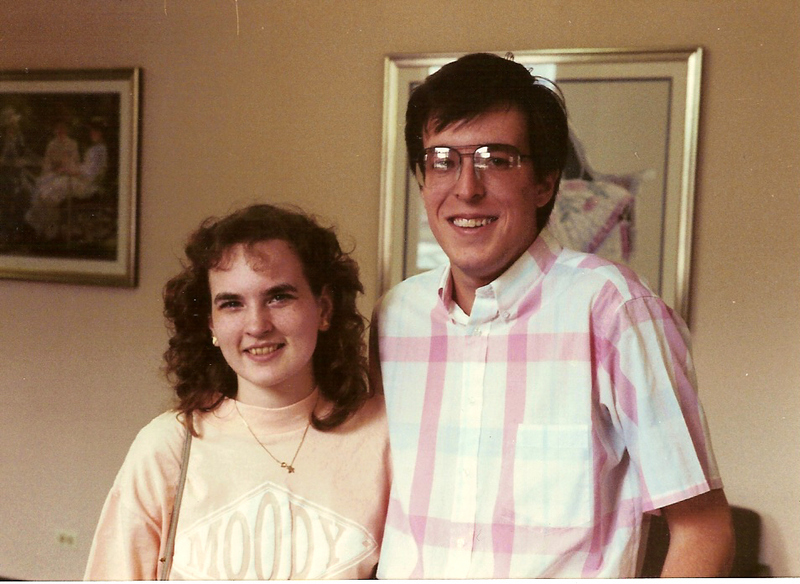 Then, one day, David and I were talking and realized we both had somehow become content to be without children if that's what God wanted for us. 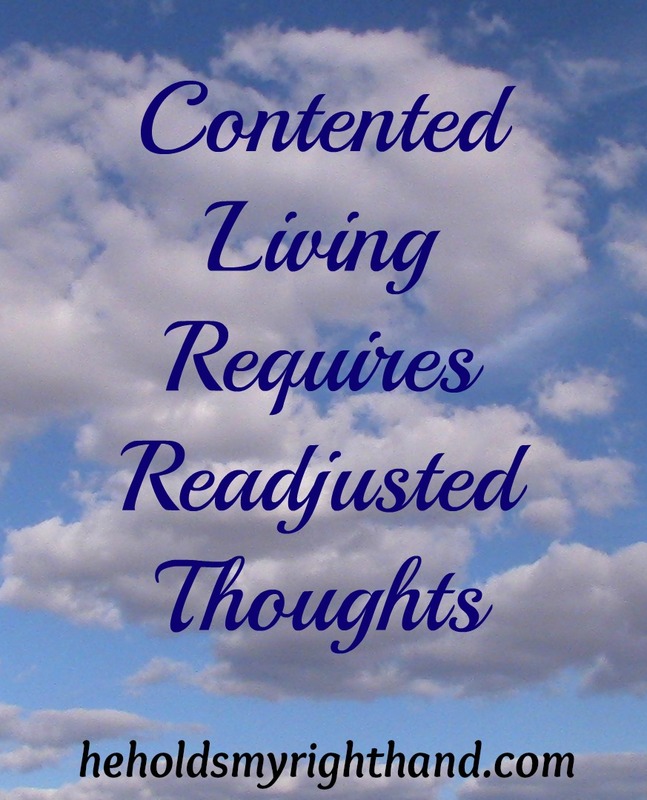 Over time, we had readjusted our thinking and had learned to be content in our circumstances. Shortly after that, we had a welcome surprise - our daughter, EL! Each of these situations were learning and growing experiences for me, and I know now that God's timing was best. I have learned that God does want us to be happy, but He wants our happiness to come from fellowship with HIM - not from our circumstances. So, now I bring the question to you: Is there something going on in your life that you need to readjust YOUR thinking about? "learned to be content in our circumstances." is not easy. This is an encouraging statement. I am still learning it. You are right, it's not easy. I am still learning, too. What Does it Mean to Wait for the Lord?